The beautiful Philippine province of Bohol was struck this morning, 15 October 2013, by a 7.2-magnitude earthquake that left scores dead and badly damaged a number of government, historical, and tourism structures. 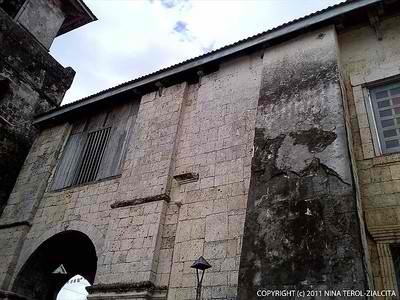 One of the most badly hit was Baclayon Church, completed in 1727 and considered one of the oldest churches in the Philippines. Another popular landmark that was destroyed is the viewing deck of the world-famous Chocolate Hills in Carmen, the epicenter of the Bohol quake. It was heartbreaking to see the state of the viewing deck, and to know that the people of the Philippines–not just the people of Bohol–have lost a number of cultural and historical treasures around the Philippines because of the quake. As my way of mourning for Bohol’s loss, and to commemorate the enchanting beauty that Bohol so selflessly shared with everyone who entered her doors, I’m sharing here excerpts of my retro travel post on Bohol. 4. Café Lawis: Perfect for soulful coffee. conversations and romantic sunset strolls. As we wandered into the picturesque, tree-lined street right behind Dauis Church in Panglao, we chanced upon a 19th-century-inspired structure and realized that Café Lawis is one of those not-yet-popular pit stops that reflect the true, quiet charm of Bohol. Serving a curiosity-inducing fusion of European and Filipino flavors (Pork humba Panini or freshly baked Tsokolate eh soufflé cake, anyone? ), its interiors show Old World-Filipiniana details as well as a showcase of Dauis life and Boholano handicrafts. The real treat of this destination, though, is its expansive garden that opens up to a breathtaking view of the sea. 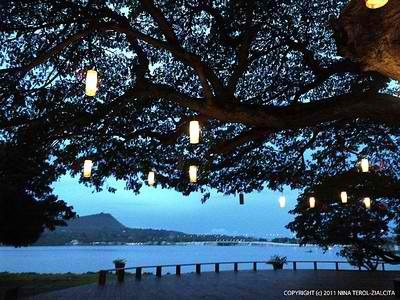 The garden’s focal point is a large acacia tree whose leaves form a laced canopy, and—since we went there in December—was adorned with rectangular capiz lamps that gave the effect of large fireflies in an enchanted forest. It is best viewed at around sunset, with your loved ones (or at least the memory of them) by your side. 5. 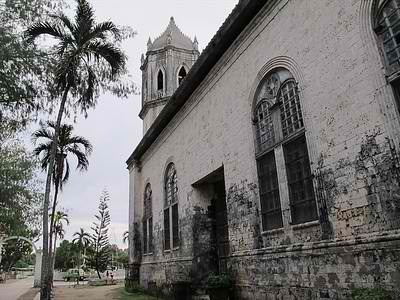 The churches of Bohol: Culturally, historically divine. Bohol’s many churches are not only testaments of the island province’s deep connection with the Christian faith, they are also, in themselves, cultural gems that give us a glimpse of the Philippines’ architectural past. The Baclayon Church, for instance, is considered one of the oldest churches in the Philippines and was completed in 1727. 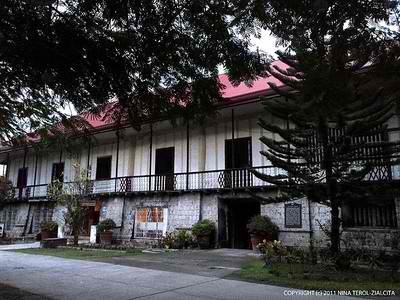 Its main structure was built with coral stones that had been crushed and made into building blocks, while its cuadro paintings were made in 1859 by a famous Filipino painter, Liberato Gatchalian. The Dauis Church, meanwhile, has evolved from light materials such as nipa into its current Gothic-inspired structure, and features a ceiling that has been painted to give the illusion of having three-dimensional coffer designs. The Dauis Church is also home to “Mama Mary’s Well”, a deep well located right below the church’s altar, from which Holy Water may be obtained and bought for a small donation. This is an excerpt only. Read the full post HERE. For updates and details on how to help the earthquake victims, follow the hashtag #earthquakePH on Twitter.